Intuit has released the QuickBooks 2010 R8 update to manual update. I have been running it for a week or so and it has been running without problems – although I don’t use some of the applications that it affects. Here is a rundown on what is changed. If you are running a 64 bit computer and Microsoft Office 2010, you have the option of running either the 32 bit version or 64 bit version of Office. Microsoft actually recommends that you run the 32 bit version of Office unless you need the 64 bit features – for the most part just being able to use larger spreadsheets in Excel. They note that you will have compatibility issues with many plugin programs. QuickBooks 2010 is one of the programs that has had problems with 64 bit Office. In the original test they said that QuickBooks can now email invoices using Outlook with Office 2010 64 bit – but that isn’t listed in the “official” release notes. I do wonder if this release will fix ALL of the problems people are having with QuickBooks 2010 and Office 2010 64 bit – even after the manual release I see some people questioning this. 64 bit Office is a real pain to deal with from a programming standpoint, and I wouldn’t be surprised if some installations continue to have problems. Update on 8/20/2010: Intuit has revised their article about this feature today – they now say This does not apply to QuickBooks Enterprise Solutions or QuickBooks Premier Accountant. And as I noted above, Outlook compatibility has not been mentioned. This goes along with what I’ve been seeing – 64 bit Office 2010 compatibility is tough to implement (and not just for Intuit). So it looks like the update only addresses Simple Start, Pro and Premier standard editions (not Accountant’s Edition). Interestingly, one implication of all this is that they are supporting Office 2010 on 32 bit systems possibly? That isn’t expressly stated, though. Thanks to Nancy Smyth of Sunburst Software Solutions for pointing out the updated Intuit notification. QuickBooks will no longer display “Qbw32.exe Application Error” or “QuickBooks has stopped working” when closing. This has been annoying a lot of people – but not all systems exhibited this problem. Direct Deposit checks written to vendors will now correctly show on reports filtered to show tracnsactions with the Online Status set to “Online to Send”. Direct Deposit for Vendor is now available to anyone with a current Direct Deposit for Employees subscription. This feature allows you to deposit money directly into your vendors bank account through the Write Checks area of QuickBooks. For more information please search for Direct Deposit in the QuickBooks Help and click on the topic for Direct Deposit for Vendor. Direct Deposit checks for vendors can now be entered directly into the register. Cancelling a Direct Deposit for a vendor now cancels the check entry in QuickBooks as well as the deposit. If the Document Management subscription is expired or cancelled, the “Remove Service from Company File” menu item did not work. This change makes the menu option functional. QuickBooks Will no longer display a Mismatch error when attempting to Create reports in Employee Organizer. QuickBooks will no longer display a “Runtime check failed” message when saving a custom liability payment in multi-user mode. Employee Organizer will no longer display the error “invalid type” while attempting to rehire an employee. When a payroll item has been assigned to a different expense account and old paychecks are edited from before the account change, QuickBooks will now correctly use the old account. If you have Enhanced Payroll for Accountants and your client has Basic Payroll you can now eFile forms for them. QuickBooks now uses the Add EIN workflow instead of allowing the EIN to be setup by entering a service key. When removing a payroll service key in an Intuit QuickBooks Enhanced Payroll for Accountants version, the key will be removed for the file currently logged into and the service will be inactivated for any other company files that had not been used or validated within the last 45 days in the same version of QuickBooks. QuickBooks will no longer attempt to setup extra State Disability payroll items for employees who live in a different state than they work in. 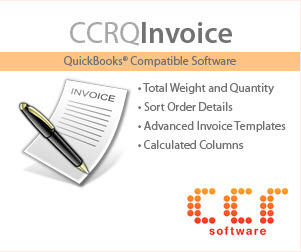 QuickBooks provides easy access to free payroll support throughout your payroll workflow. QuickBooks will now not allow more than one draft paycheck to be created for one employee. Draft paychecks are updated with the latest tax table installed. Checks will only reflect the cutoff date based on Pacific Standard Time Zone. QuickBooks now calculates Sick and Vacation hours correctly for draft paychecks. Assisted Payroll: QuickBooks now properly updates the memo on a paycheck that was selected to use Direct Deposit is unmarked to not use Direct Deposit. You are now able to Sync Licenses, Buy Additional Licenses or Unlock without an Internet Connection. The Update QuickBooks infrastructure has changed to use SSL (secure) transfer protocol. 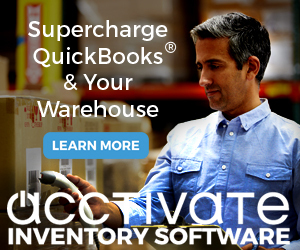 QuickBooks no longer displays “Unrecoverable error 14683 34996” or “Runtime Error P6025” when saving Sales Orders, Estimates, Purchase Orders or Bills. QuickBooks no longer displays an Unrecoverable Error when sorting reports by “Last Modified” in Windows Vista and Windows 7. That is always the question. I often recommend that you wait until other people test it for you – let everyone else suffer the pain so you don’t, if there is a problem. If you are worried – wait until it goes out on automatic update. However, now that we are getting into the later rounds of releases, the risk of a problem should be low. In addition, Intuit did run a formal field test on this release, so it should work well. If you have Payroll you should update soon. One question: Do the paychecks print out in alphabetical order too? Lynda, unfortunately, I can’t answer that. I don’t use their payroll, so I can only list the information (in this regard) that they have on their site. The best I can say is that there are updates to payroll, you can get the update and see if that has been changed. Sorry! Just an FYI and update. I had many issues with the compatibility of QB Pro 2010, Windows 7 64 bit and my HP 6110. Much of this seems to be resolved through the more recent “fixes” from Intuit. Also changing to a new HP printer (8500 series) has appeared to have eliminated much conflict. I did want to comment that I never did have problems with Microsoft Office as it was never installed on the two computers that I am running all of the above on. Instead, I am using OpenOffice.org 3.2 which was installed (downloaded) from my computer vendor. If those who are reading this still have an issue with using Microsoft 2010 64 bit, you might want to try using an alternative……P.S. It if a free download! HP printer issues are a separate thing – many people have run into those problems and I’ve seen a variety of fixes offered. I don’t have one of those printers so I can’t comment directly. Charlie, I’m confused (as I’m sure others will be too) – on the QB Support site http://support.quickbooks.intuit.com/support/Pages/KnowledgeBaseArticle/898561 it says that the Office 2010 fixes DO NOT apply to Enterprise or Premier Accountant. Interesting – thanks for pointing out that they had updated the release note. That is a change that was posted after I wrote the article, and after the initial release (probably was updated today). You may note that in my article I had questioned if the Office 2010 compatibility issue was fully resolved. I had also been contacted by an Intuit employee asking if I had tested this aspect of things – after they had announced the update. That led me to believe that there may still be issues. Yes, integration with 64-bit Office is tricky! Add to the mix that in addition to a “full” or retail version of Office there is also Office Click-to-Run versions (Starter 2010, Home and Student 2010, and Home and Business 2010) which do not have all of the “normal” functionality of the full versions. We spent numerous days troubleshooting with a customer – going to the extent of putting in a support incident with Microsoft – to find that the entire problem stemmed from the fact that they had installed and were using the Click-to-Run version. The good news is that those who have installed Click-to-Run can download the full version at no additional cost and the Product Key is the same. (There is more info in a blog post that I published today if anyone is interested). I have an HP DV7 laptop running Win7 and QB2010. I too have had pdf issues for some time; caused me to revert back to my 2009 system on Vista. That said after about 40 hours of trial and error I found one of Charlies articles on making pdf “print” to a NUL port which I finally got the laptop to work correctly. I am using MS Office 2010 Beta and so far, things are now working well. QB Premier 2010 with Automatic Updates turned off and don’t use any QB online Services. I am at R5P should I update to R6? R7? or R8? Will, at this moment you can either update to R7 or R8 – and in a week or so (I’m guessing) your only option will be R8. I can’t say what makes sense for you because I don’t know what features you are using. If you look at my articles on each of the releases you can see what bugs have been fixed. I would definately not recommend staying at R5 in most cases – so either R7 or R8. I’ve been running R8 for awhile now without problems, I haven’t heard of any big problems with it. It all depends on what features you are using. If, for example, you have an Intuit Payroll product, you really should update to at least R7. Charlie – with the R8 update on Win 7 and Office 2010 64bit system the error of no default mail client went away, but when trying to send forms to email it just hangs as the Quickbooks PDF Converter 2 and 3 do not fulfill the print job. Charlie – One last note: I tried your article https://qbblog.ccrsoftware.info/2010/01/quickbooks-2010-and-2009-pdf-printer-problems-with-64-bit-systems/ however there is no DLL available anymore as thye say it has been fixed in a an update. Brad, the article you refer to has a note that says that a later update resolves that issue. The DLL solution won’t help you with R8. I don’t have the problem with my 64 bit Windows 7 system using Office 2007. The QuickBooks web site on Office 2010 specifically omits saying that Office 2010 Outlook is compatible at this time. They pretty much are saying that it won’t work. I don’t have a fix for that. 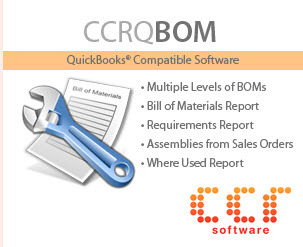 Some people have gone back to an older article (https://qbblog.ccrsoftware.info/2008/10/solving-quickbooks-problems-on-64-bit-vista/) and tried the “Method 1” fix listed there, and had some success. But I can’t say that it will apply to your situation. Office 2010 is just a big problem for Intuit at this time. Charlie Method 1 you posted did fix the issue for me. 🙂 I just looked to see what PDF converter my pc was trying to use 2.0 or 3.0 (mine was using 2.0 and I followed method 1 for that printer. Worked GREAT. I wonder if setting the printer to null as suggested in the other article may have worked if I had rebooted (i didn’t). Either way with method 1 and a reboot it seems to be working for me now and best I leave it alone. Thanks for the fast reply and all the info. Hope this info may help someone else! Brad, glad it worked for you – I don’t have a solution for the naming issue. No way to control it that I’m aware of. Other than to save as a PDF and manually attach it to an email yourself. emailing invoices issue …and error saying i could not print to printer etc.. I am totally confused on what to do. I have Quickbooks 2010 R5(purchased at Future Shop Canada) as well as Outlook 2010 and Office 2010 student & Home . I can print invoices but i cannot email them. Pleaseeeeee help me… I am about to throw a brand new 1000$ comp and all its $1000 excesories through our window! I have autoupdate on and it says all is upto date with quickbooks..and even tried R8 download and after it told me there was no quickbooks on my puter!! lol..
Kim, if you are using QB Canadian edition, I’m not sure that it will work at all with Office 2010. If you have a US edition I’m still not sure that you get full compatibility with Office 2010. Don’t throw out the computer, get a copy of Office 2007. At least for the time being. I am having issues with printing and emailing the same as those unfortunate souls above. I have spent HOURS reading BLOGS and DAYS trying to get an educated reply from INTUIT. I am running W7 Ultimate 64-Bit, QB 2010 Rev R8P which was already updated automagically to the current version. Reinstallation of QB 2010 and manual install of R8 has failed to correct the issue. This is now impacting my ability to maintain my business records. Paper is not cutting it anymore. Scott, a couple of comments. Windows 7 and 64 bit systems are a tough environment – there are a lot of variables that can come up that make things work in different ways. I spend a lot of time working with people in these environments – there isn’t a single answer that works for everyone. As a software developer, I disklike W7 and 64 bit systems.